With the customer now at the heart of everything we do, we need innovative data and digital strategies to deliver more flexible and market-oriented processes. In a sector where barriers to entry have enabled steady growth and a sustainable increase in market share, being agile and creating disruptive solutions that open the door to new customers is vital to survival. At everis, our experience, based on flexibility and knowledge gained through engagements in 13 countries, brings best of breed practices to service the Insurance sector. From operations to underwriting, claim management, technical infrastructure and outsourcing solutions. Our Digital transformation, Big Data & Analytics services, cloud, BPO, and alliances with software solutions create integrated solutions for the Insurance industry. Supported by teams of multidisciplinary professionals working with just one goal: the customer’s success. Working as a strategic partner for the specialist insurance market and supported by development Centres of Excellence, everis has significant industry experience in Data Management and Digital transformation – used to deliver the greatest benefits to our customers’ businesses. everis is an active supporter of InsTech London – promoting innovation in the insurance market. Helping customers to become data driven companies. New sources of data helps to streamline costs, improve risk assessment to underwrite better-targeted risks, identify new customers and know the customer much better, predict fraud or provide insights for better pricing. Adapting organisational models to new digital challenges. New relationship models and collaborations, and a different approach between business and technology. everisMoriarty is the world’s most advanced workbench for developing Big Data applications. It enables the integration of sophisticated analytical services (i.e. reasoning engines, machine learning, natural language processing, deep learning algorithms, semantic ontologies, etc.) to develop cognitive solutions. Agile technology improves time-to-market by reducing the development and deployment cycles inherent in traditional Big Data solutions. In addition, everisMoriarty offers an open and seamless work environment for data scientists and engineers, integrating with common tools like R, Python, and Scala to produce models that can be consumed by any application or platform. The main objective is to offer the ECM key features and extend it including advanced Content Management (any type video, audio, voice, etc. ), high scaling capabilities and easy to integrate with Analytics and Cognitive systems. Our Insurance Master Data Management (MDM) platform provides the foundations to achieve a single customer view. It positions the customer at the heart of the company; ensuring a culture and commitment that always has the customer journey in mind. Our approach includes tools, deliverables and procedures which focus on a quality implementation adapted to the organisational needs and minimising the impact on the source systems in an agile manner. At everis, we add value to the definition, development and deployment of the customer master. Our experience means that we use best practices. Martin is a Senior Director in the Insurance practice with over 15 years of experience in Consulting leadership roles for the Banking and Insurance industries. He provides business and technology strategic consulting services and creates solutions for Insurance companies. Martin develops successful working relationships with stakeholders. 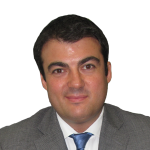 Bruno is an industrial engineer with 20 years’ experience in consulting for the insurance sector. Within everis he has managed many projects, ranging from strategic, to operations, organisation and technology transformation for large organisations in Europe and the Americas. His experience has been a driving force behind the growth of the industry within everis. 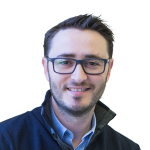 Bruno is responsible for the insurance sector in Europe within everis and supports the company’s development in the digital movement.